the scenario.. an outdoors event. in which the food has been laced with a super strong laxative the more the better. eventually everyone will need to crap bad. 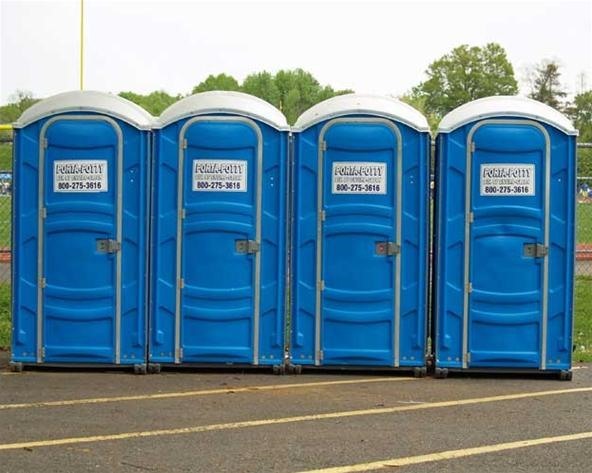 the portapotty's are retrofitted with massive pumps inside the blue water filled with the most ungodly poop one can find. the massive pumps shoot all that rancid goodness through any and all holes in the portapotty. only to be rigged hidden cameras to watch the madness. afterwards there would be a quick release for the walls of the portapotty to show the destruction. not too long after the poop covered smurfs will be blasted by a firehouses from a firetruck to clean them off well.